The Non Rebreathing Mask delivers a high concentration of oxygen. 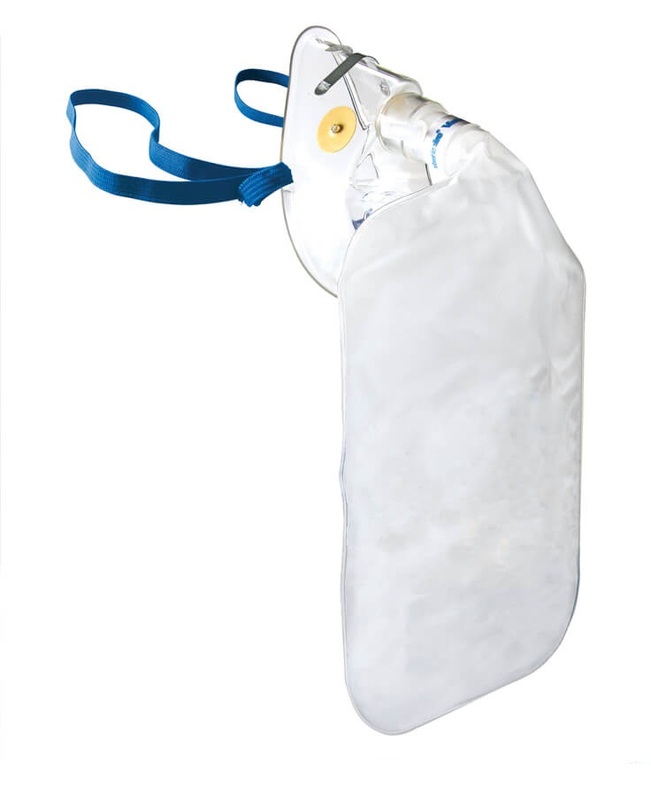 The reservoir bag ensures adequate oxygen supply to meet unpredictable breathing patterns and tidal volumes. Eliminates the risk of allergic reaction. Star Lumen Tubing, with international standard connectors, ensures the flow of oxygen is maintained, even if the tube is kinked. The elasticated earloop option on the adult mask eliminates the need for the patient’s head to be moved to fit the mask, reducing the risk of further injury. Castellations on the swivel connector ensures the flow of oxygen from the bag to the patient is uninterrupted. The mask can be fitted quickly and easily with the swivel connector being rotated to suit the patient’s position.